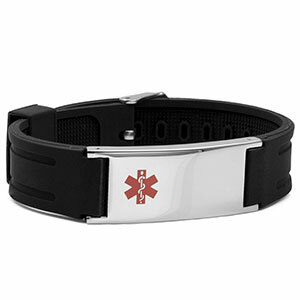 This classic style rubber medical alert bracelet comes in black. 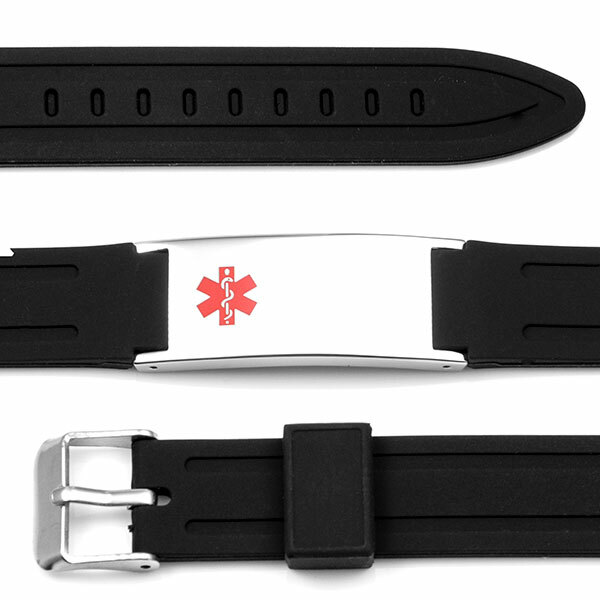 It's comfortable and adjustable. 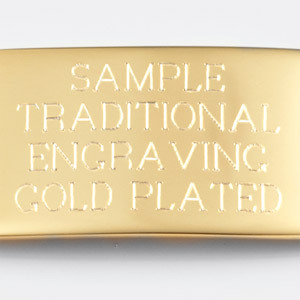 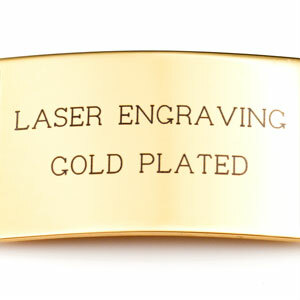 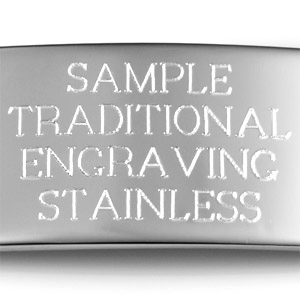 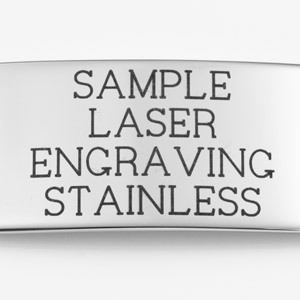 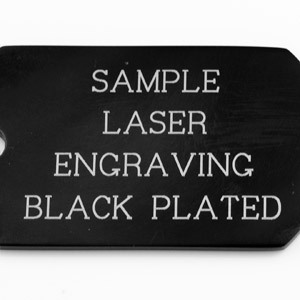 It can be engraved with your unique medical ID details on the front and back.